I am the Way for the traveler. I am the Master who watches in silence. I am your friend and your shelter. I am the beginning and the end of all things. I am the seed of the Universe. I am the supreme treasure. Short and sweet. Universe has mysterious ways of presenting itself. Life regularly presents opportunities to become more fully aware of the universe. Seizing these moments is up to us. Thanks for stopping by and offering this opportunity. Well done! I like that. It’s good poem with beautiful words. Thank you Hedy! Your kind words are a constant blessing. Good Monday morning Wendi and thank you very much! Thank you and happy Monday Marylou! I am a beacon of light to those who see Me. I am a mirror to those who look for Me. Me. I am a Way for you, the traveler. The mystical diagram that accompanies this quote is called The Sri Yantra or Sri Chakra. 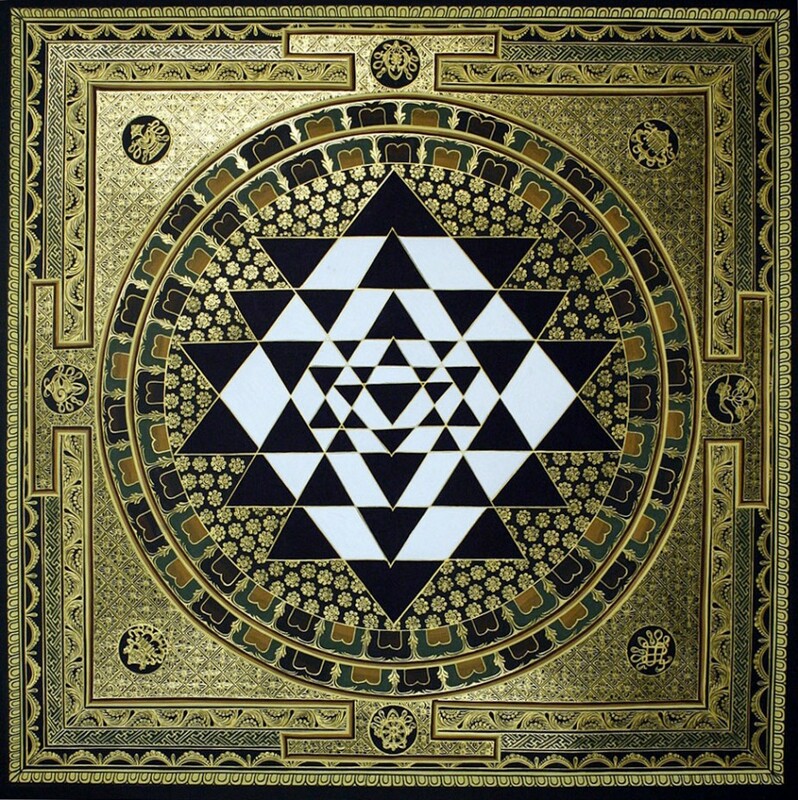 When the two-dimensional Sri Yantra is represented in three dimensions, it is called a Maha Meru. Your contributions help fill in the empty spaces. (and there are many) Thank you very much! Sunday was beautiful, let’s see what we can do with the rest of the week Sonia!